We also assist clients with Accelerated Rehabilitative Disposition (ARD) programs, expungements and related criminal defense matters. In every case, we work to develop a customized plan of action that fits each client's case and his or her goals. Our trial lawyers are aggressive advocates who never back down from a fight, but we also put great thought into our defense strategies. In addition to our criminal defense practice, Decker Bradburn represents clients in an array of personal injury and civil defense matters. From contract disputes to motor vehicle accidents, we can vigorously uphold your rights. 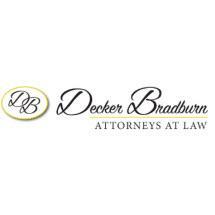 Our law firm was founded by attorneys Wayne Bradburn and Marc A. Decker. Mr. Bradburn brings more than 20 years of legal experience to the aid of our clients. Mr. Decker complements this experience with fresh perspectives and up-to-date knowledge. Both of our attorneys are highly responsive, providing their personal cellphone numbers to clients and remaining accessible for emergencies 24/7. We invite you to contact our State College office to request a free initial consultation today.